"Music from another world" (New York Times, 1999). 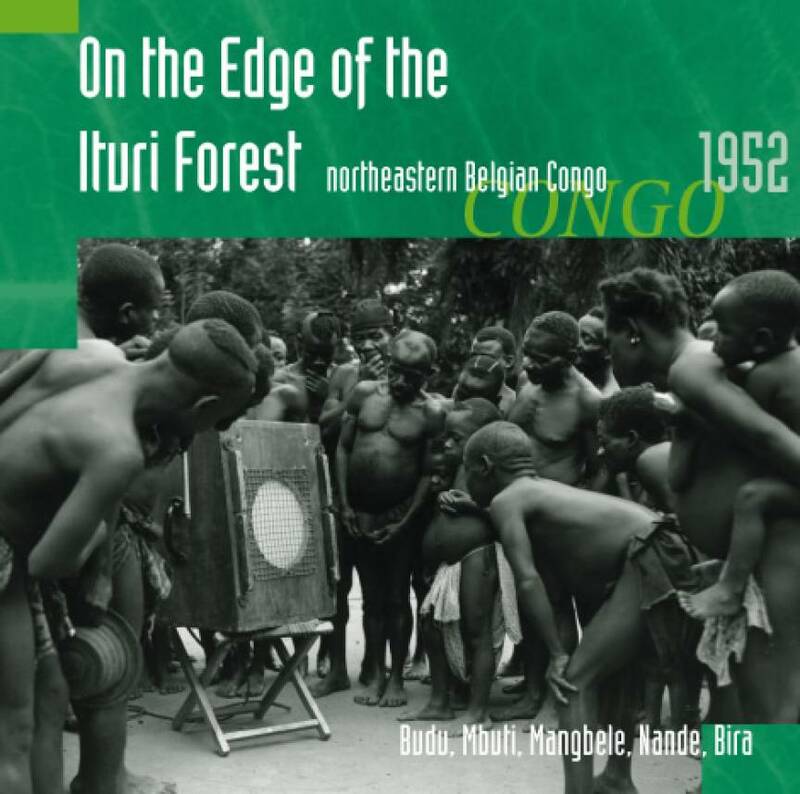 Mbuti pygmies came out of the forest to barter with their Bantu neighbours – Nande, Bira, Mangbele & Budu – but it was also the scene of a unique musical interaction! One helluva party going on at Chief Baonoko's village, tipoyi carrier songs, message drums, pygmies playing bantu instruments, and also singing their own forest songs. Historical recordings by Hugh Tracey. Total time: 61'57". 20 page booklet. Tracklist: 1. Mbo, 2. Mbo II, 3. Yando, 4. Ope, 5. Akakalu Babini, 6. Speech By Chief Baonoko, 7. Mama Yangu, 8. Four Drum Signals, 9. Nebandima, 10. Two Likembe Tunes, 11. Three Likembe Tunes, 12. Four Flute Tunes, 13. Luma Pipes, 14. Luma Pipes With Drums, 15. Mai-o-da, 16. Amabele-o-iye, 17. Iyo-o-o, 18. The Honey Harvest, 19. The Antilope Hunt, 20. Mongu, 21. Dance, 22. Hunting Cries, 23. Song After Moving Camp, 24. Curative Song, 25. Manatobo Kukwo, 26. Maria Chibu. The Beat 1999 (USA): "Of all the treasures of recorded African music, perhaps none equal the archive of sound collected by legendary musicologist Hugh Tracey. The value of these cds is that the exceptional sound of Tracey’s recordings make them easy to listen to and with wise track selection, they may be the most accessible of all historic recordings. By any standard, they are essential."